Words with special significance are my reason for writing. There’s something very personal about having them hand written, and arranged in a way that enhances their importance both to giver and recipient. 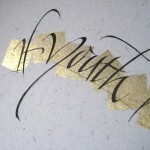 So I am frequently asked to design and write out speeches, poems, quotations and song lyrics that have meant something to the client at a special occasion and also write names on wedding stationery, names on certificates and in memorial books, design birth/special event announcements, certificates and even Freedom Scrolls. your deadline – a rush job may not be possible, sorry, I’m going away a lot this year! All original artworks are on good quality paper with as far as possible no-fade paints/ inks. 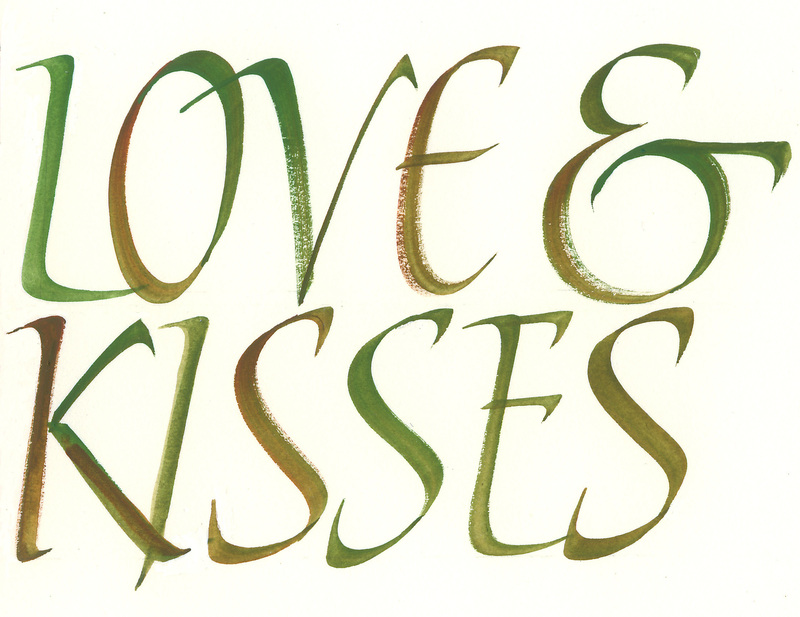 For illustration/ drawing, illuminated initials, family trees or framing, please look elsewhere. 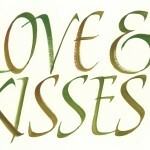 Go to www.clas.co.uk and www.calligraphyonline.org to look up the Fellows who have their own websites. 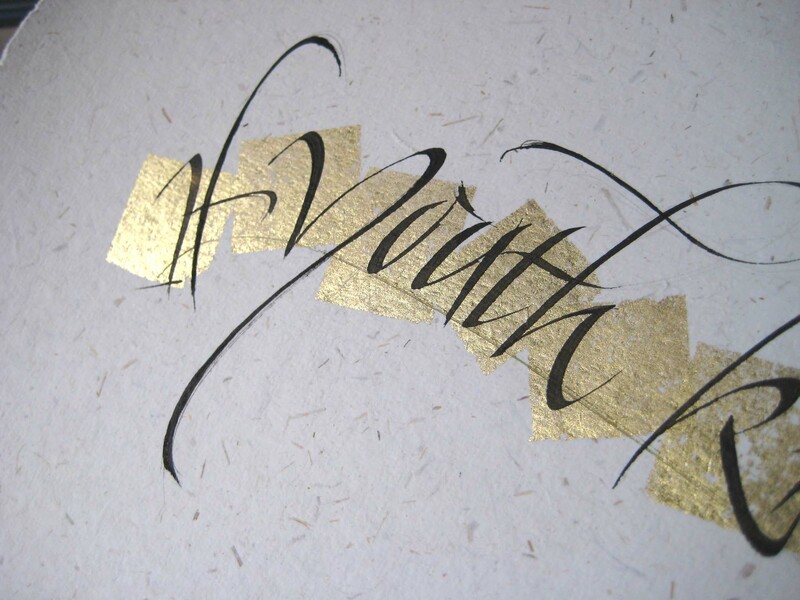 For names on certificates or wedding stationery, tell me your needs and I’ll give you some prices. 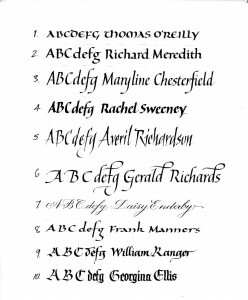 As a guide, straightforward black writing on invitations (Mr Robert and Mrs Angela Scrivener) is usually £2 per entry, place cards (Robert/ Robert Scrivener) £1.50 with possible extra charges for colour, centring, or difficult surface to write on. 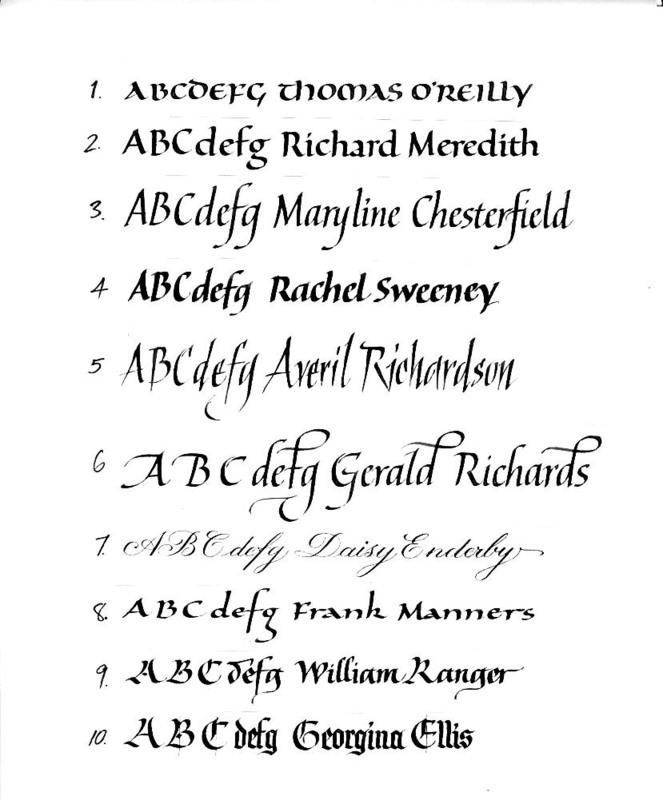 The commonest script chosen is no 3 below, Italic, or no 7, Copperplate. All the names need to be supplied as they are to be written, and in one batch; late additional names are subject to a minimum charge of £25. Some possible scripts are shown below, but for livelier scripts please ask.